I always wanted to be famous. I dreamt of dancing on Broadway. I practiced the speech I would give when my name was called at the Oscars. That didn’t happen. I found fame on the Internet. In October of 2014, I submitted my weekly article to Lifehack.org just as I had for the previous eight months. This time was different. I was traveling internationally (seven hours later than US). That meant I wouldn’t be able to share it on social media the way I usually do. That didn’t seem to matter. It was moving fast, with 120 shares in a few hours. Happy that it was well received, I closed my eyes, smiled, and went to sleep. When I woke up, the share numbers were increasing rapidly, but I promised myself (and my husband) that I would not obsessively check my phone. So I put it in my purse (didn’t sneak a peek) and enjoyed my vacation. Since we took a few flights, my phone was shut off. Whenever we landed, I checked my phone, thrilled to see the article had picked up speed. The most exciting number jump happened when I went to sleep in London with 8000 shares and woke up the next morning to 20,000 shares. Traveling made the experience easier because I had to shut my phone for long flights. Otherwise, I would have been checking it every five minutes. When we landed back home, I turned on my phone to see 120,000 shares. That night I went to sleep with 500,000 shares and woke up 953,000! This meant that almost 1M people shared the article. The “view” numbers were much higher. It was official- my article had become a viral sensation. Even though I was back on the ground, I was still flying high on share numbers. I wasn’t a YouTube star; I was a viral sensation on Facebook. The article was everywhere. That’s when the fun began! The article was a letter to my husband. My goal was to explain what goes on inside my head. I felt frustrated and misunderstood. I wanted him to understand how I can be so smart and act so dumb sometimes. I feel blessed and honored to be “the voice” of ADHD. 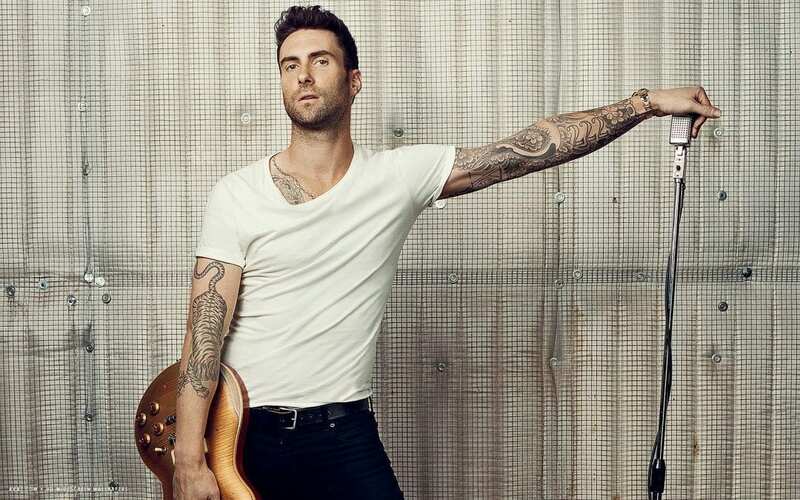 Thanks, Adam Levine! I couldn’t have done it without you. In February 2015, we hit 2MILLION SHARES! * My readers informed me that ADD no longer exists. According to the DSMV, it is now officially ADHD. Fantastic website. A lot of helpful information here. I’m sending it to a few friends ans additionally sharing in delicious. And naturally, thank you on your sweat! Thank you so much for writing! I write for my readers. Knowing that you liked what I write means so much to me and even more when I know that you want to share it. Keep me in touch! Your few lines give me the warm fuzzies I have been missing. Could I have gotten it all wrong for 74 years? Is truth something that is essential and valuable over all else as a basis for living together in relationships? Or is diplomacy, political correctness, and overlooking the lies of others that hurt innocents the only choice we have at our disposal in order to be happy? It’s about being wise and knowing when to be truthful or when to hold back. Those aren’t the only choices (diplomacy, political correctness and overlooking lies). It’s seems like they are but when you dig a little deeper, your goal is to be the best you can be and to bring out the best in the other person. It’s about wisdom, learning how to use good judgment and then balance it with compassion- all for the benefits of a positive outcome, peace, and love. Thanks for writing!